This photo was taken during the ceremony. 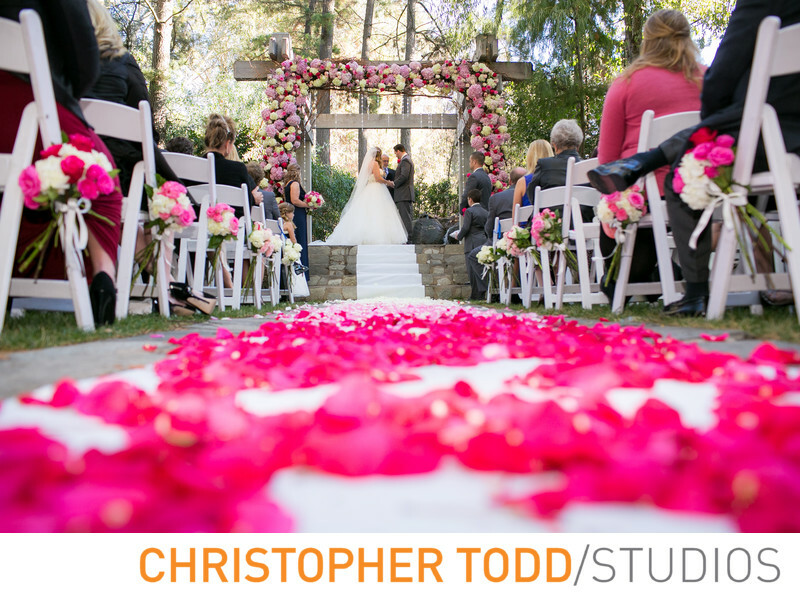 All the flowers and petals added stunning details to this ceremony site at Calamigos Ranch. We love that the vow exchange took place up on the platform under an arbor. 1/320; f/3.5; ISO 800; 35.0 mm.